OFM has a spot available behind the mic in Welkom and we’re looking for an intern presenter! Our successful candidate will broadcast with Cyril Viljoen, weekdays 13:00-15:00, 1 April – 28 June 2019. 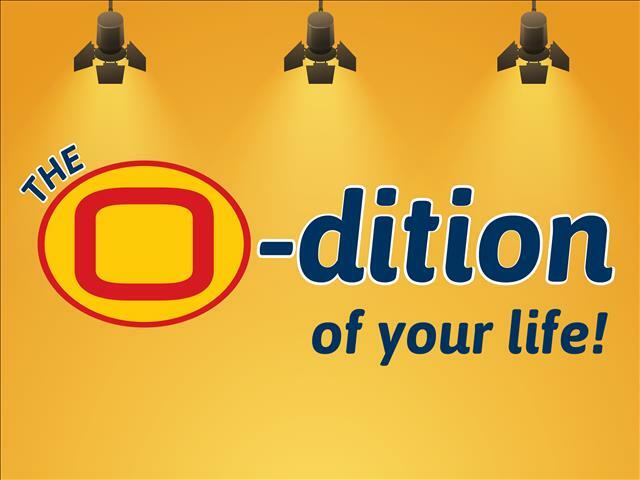 Walk-in auditions were held on 13 February 2019, 13:00 – 17:00, at OFM’s Welkom studio in Goldfields Mall. During the auditions, candidates were required to read scripts in Afrikaans or English, or both. Five finalists will be announced on 20 February 2019 and OFM’s audience will chose the winner via a voting system on ofm.co.za. The winner will be announced on 27 February 2019. The O-dition represents an opportunity for someone to make a lifelong dream of being a radio presenter a reality. In the past, OFM’s talent search competitions has unearthed some highly talented individuals - the likes of Dean Ririe, Yolanda Maartens, Bernadine Rust, Thabang Moselane, Alucius Mocumi, Christina Kouveldt, Chantal Leach, and various Street Squad members who have since become familiar faces in and around Central South Africa. Three month paid intern presenter position at OFM’s Welkom studios, 1 April – 28 June 2019. This prize is valued at R35 000 in total. And available to work during the allotted contract term (time as well as dates). And not exchangeable for cash. Entrants’ likeness might be used for marketing purposes. The judges’ decision are final and no correspondence will be entered into. Votes will be cast by OFM’s audience and canvassing will be up to each of the five finalists. The results will be made available to the five finalists, but not publicised. Winning the O-dition contract does not necessarily translate to a further employment position at OFM.